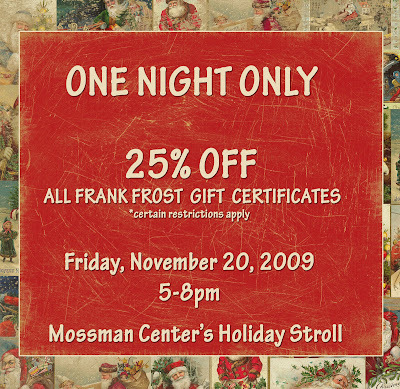 You are all invited, this Friday, November 19, 2009 from 5-8pm to the Mossman Center’s Holiday Stroll! Come by the studio, say “hi,” partake in some holiday cheer (which, of course, includes food!) and take advantage of our GREAT deal : 25% off ALL gift certificates. 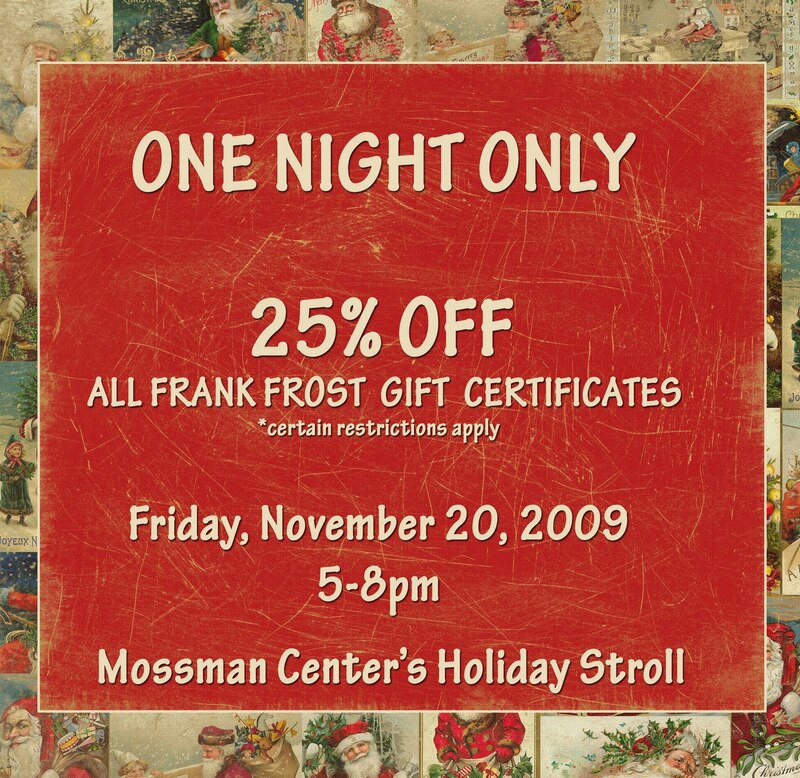 For one night only, you can purchase a $100 Frank Frost Gift Certificate and pay only $75. Even if you don’t need a gift certificate, we hope you’ll stop by-we’d love to see you!! !